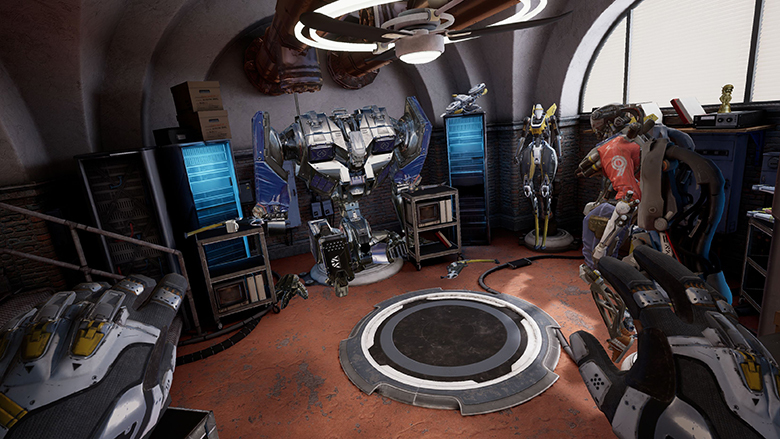 Oculus has just posted the first screenshots for Robo Recall for Oculus Quest, and they look quite impressive. 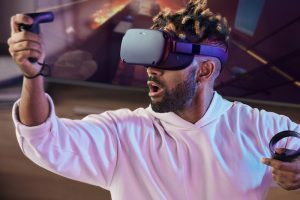 Oculus Quest is the highly anticipated standalone 6DOF VR headset that will be released soon (“Spring 2019”). Oculus has said the Quest would be able to play some of the same software that are available on the Oculus Rift. That’s a very bold claim, considering that the Rift requires a VR-capable PC, and the Quest runs on a mobile processor — a Snapdragon 835 — the same processor used in phones such as the two year old Samsung S8. 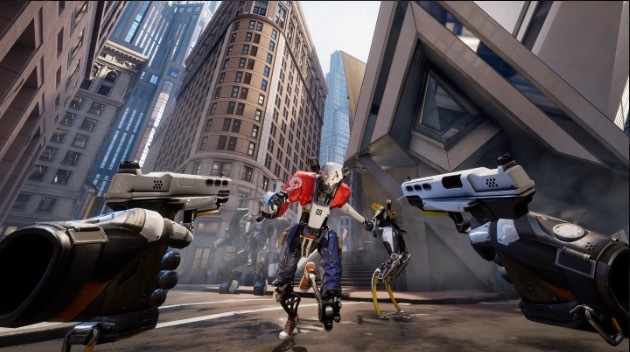 Oculus has announced Rift games that would be coming to the Quest, one of which is Robo Recall, a sci-fi adventure game in which you use a super-powered robot to battle a horde of rogue robots. 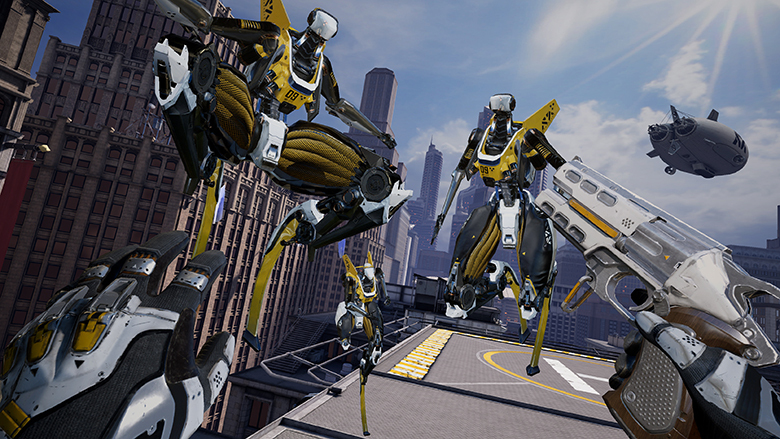 Two years after it first launched, Robo Recall is still one of the best-looking VR games on any system, and it seemed too good to be true that it would be available for Quest. 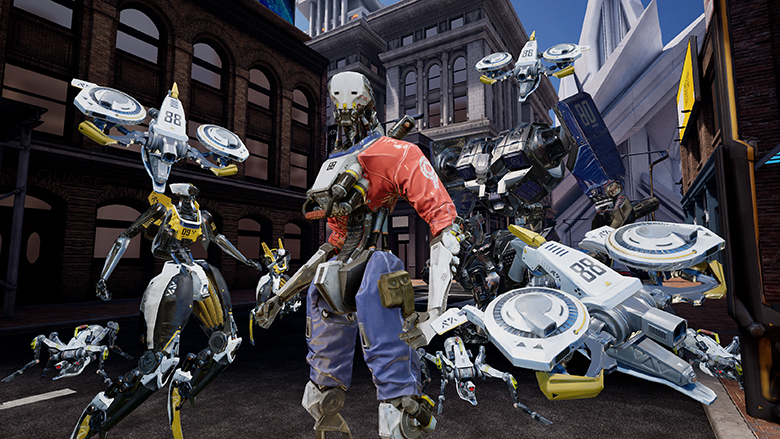 Well, now we have the first screenshots of what Robo Recall will look like in Oculus Quest. The Rift version is obviously much more detailed and has better effects, but what Oculus and its developers has achieved with the Quest’s mobile processor looks impressive so far. 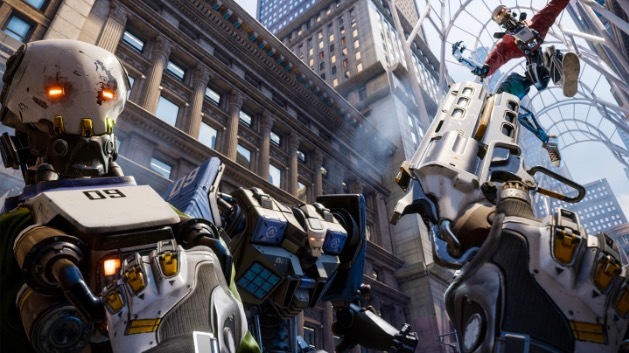 Beyond the graphics, the developers for the Quest version of Robo Recall have ensured that the gameplay on the Quest version is the same as that of the original version for the Rift, but with greater freedom of untethered movement. 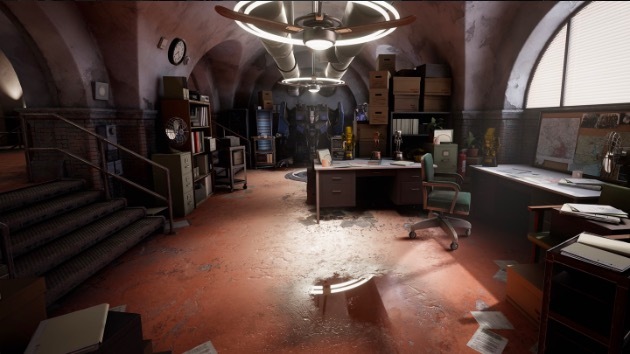 You can read the developer interview here. I’m very much looking forward to the Quest! What do you think? Let me know in the comments! I’m excited about Quest too Mic and will definitely be grabbing one. I’m hoping Robo Recall looks as good in the headset as the screenshots show. It’s a great game on the Rift.